Virginia is for (animal) lovers. Shelters across the state strive to protect, care for, and find a new home for pets looking for one. 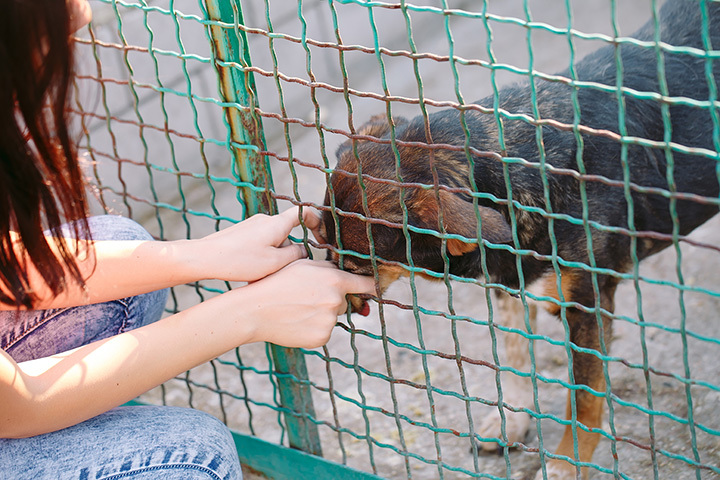 These shelters are dedicated to providing homes for our furry friends that were abandoned or orphaned, and nurse them back to health if they need it. These are 10 of the best animal shelters in the state. Lucky Dog Animal Rescue, located in Arlington, Virginia, is a “volunteer-powered nonprofit dedicated to rescuing homeless, neglected, and abandoned animals from certain euthanasia and finding them loving forever homes.” Not only is Lucky Dog dedicated to placing animals, but part of their mission is to educate the community around them. Lucky Dog is the 2015 Readers’ Choice for the best place to volunteer in the Washington D.C. area, so make sure to stop by and lend a helping paw. Bark Bandit’s Adoption and Rescue K-9’s, known as BARK, in Ashland, Virginia, helps to rehome animals that were orphaned or abandoned in the Richmond area. BARK helps families adopt animals, as well as foster. BARK hosts regular adoption stands and is always looking for new volunteers. Friends of Homeless Animals, or FOHA, is a non-profit shelter that “focuses on the rescue and placement of homeless dogs and cats in the Northern Virginia and Washington D.C. area.” FOHA is strictly no-kill. Volunteers and donations make it so that animals are able to stay until they find their forever homes. If you’re in the Aldie, Virginia area, make sure to stop by this top-notch shelter. Homeward Trails in Arlington, Virginia was started by accident. On a trip to drop off supplies at another shelter, the owners of Homeward Trails decided to rescue three dogs, setting into motion a 16-year chain of events that has led to over 21,000 new animal rescues. The Homeward Trail’s website stays current by publishing regular blog content about sheltering animals and good pet practices. The Animal Aid Society in Hampton, Virginia, is proud to be “a safe haven for homeless dogs.” The medical needs of the dogs are met through donations and special events. The Animal Rescue of Tidewater, known as ART, has been around since 1999 servicing the Tidewater region. Not only does ART place companion animals, but they are proud legal advocates of companion animal legislation, lobbying for laws to improve the quality of life for these special animals. The Chesapeake Humane Society offers adoptions, clinics, programs, and special events geared towards involving the community in the safe treatment of foster animals. The Society also offers low cost spaying, neutering, and vaccines for those on a budget. Volunteers and donations are always welcome. The Virginia Beach SPCA offers animal adoptions, medical support, and volunteer opportunities. One can even sponsor a kennel! The VBSPCA also has a pet supply store to provide for your newly adopted or existing pet! The Animal Adoption and Rescue Foundation, or AARF, in Richmond, Virginia has been placing dogs since 1993. For just $186, you can go home with a new dog today. Fostering is available to those that would prefer a more short-term commitment. Make sure to check out their website and Facebook for the most up-to-date availability and announcements. A Forever Home in Chantilly, Virginia, hosts regular adoption events and training for new pet owners. Blog updates provide useful information and videos. A Forever Home even hosts raffles to engage the community and raise awareness of animals in need. You can’t go wrong with A Forever Home. View more Virginia Animal Shelters.